When you set up your Gallereo website, you are able to pick between a range of different templates that you can then customise with your own content and images. What happens if you get bored with your template 6 months down the line, or you find you've made the wrong choice? Why not just change it? 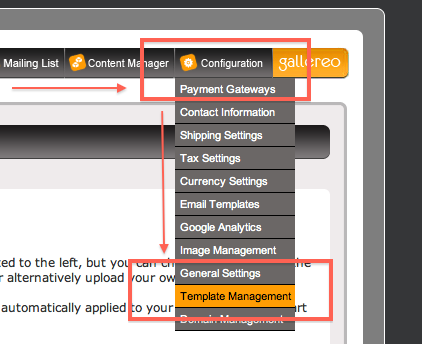 You can change your template as often as you like with Gallereo, and it's really easy to do so. Plus, each time you change, all of your content and images are moved for you, so there's no hard work involved at all. Here's how you do it. Go to Template Management on the Configuration menu. There you will see the template that you are using, plus a grid of the other available templates, in all of the available colours. 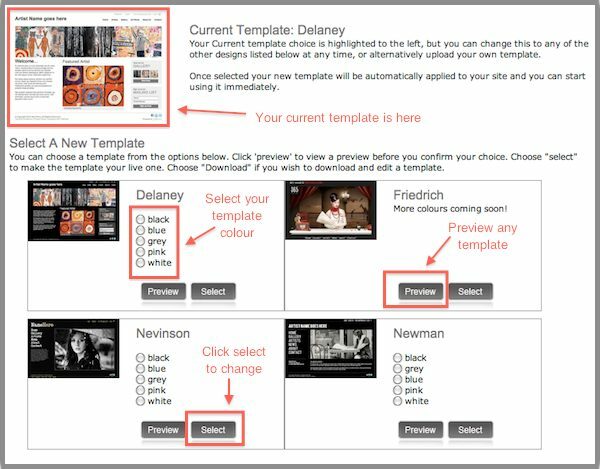 Simply select the template that you would like to change to, in the colour that you want, and press select. This will change your template for you. If you want to get a better look at the templates, just press Preview, or see what other people are doing by viewing the Gallereo featured artists websites. If you decide that you actually were better off in the beginning, you can always change back to what you had originally.